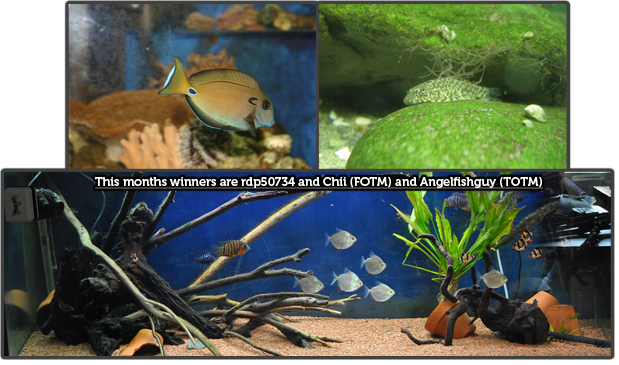 Aprils FOTM winners were rdp50734 and Chii, whilst Angelfishguy won the TOTM. Welcome to The Fish Forum, the friendly fish forum. Where our members, moderators and admin are interested in chatting about and keeping fish. We are a no frills forum where easy answers are given without blinding you with Latin terminology and science. A place where everyone from a beginner to old hand can chat about all types fish, coldwater, saltwater and tropical, tiny tetra to monster cichlids. Monthly competitions to enter you tank or fish into. Discounts for site members on equipment from Paddock Farm. Fish health in association with Waterlife. A relaxed site where everyone's point of view is of interest, a site for fishkeepers run by fishkeepers.